Africa’s Great Migration has long been a symbol of the continent’s abundant wildlife. The Serengeti Plains fill with millions of wildebeests and other animals, all traveling from the Ngorongoro region in Tanzania to the Maasai Mara in Kenya in search of food and water as the seasons change. Although the term “Great Migration” is thus inextricably linked in our minds with wildebeests, the results of a new WWF study may start to change our thinking. A report published online last week in the Cambridge University Press journal Oryx finds that there is a new, longest-land-migration-from-endpoint-to-endpoint record holder: the Burchell’s zebra (Equus quagga). A few thousand of these zebras cover more than 300 miles in a straight-line, to-there-and-back journey across Namibia and Botswana. According to Robin Naidoo, the study’s lead author and a WWF senior conservation scientist, this is the longest, big-mammal migration ever documented in Africa. 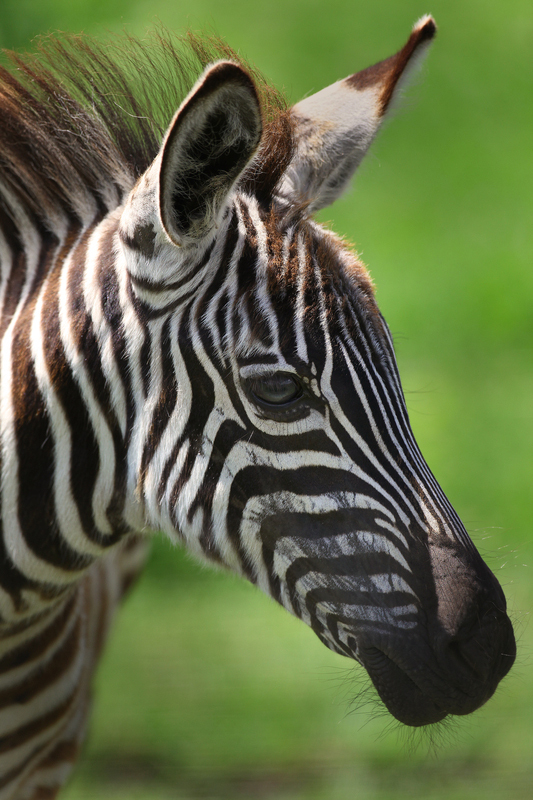 To record the zebras’ movements, Naidoo and colleagues from WWF, Namibia’s Ministry of Environment and Tourism, Elephants Without Borders and Botswana’s Department of Wildlife and National Parks outfitted eight adult zebras with GPS collars. What the researchers found is that the zebras were traveling a route that runs along a north-south axis between the floodplains of the Chobe River (which forms the border between Namibia and Botswana)—specifically the Salambala Conservancy—and the grasslands of Nxai Pan National Park in Botswana. In the dry season, the Chobe River provides a reliable source of drinking water. When the rains start in December, however, temporary waterholes fill up. The zebras are then able to move away from the permanent water source at Chobe and exploit fresh grazing areas, such as the nutritious grasses at Nxai Pan National Park. WWF’s Naidoo is quick to point out, however, that in terms of actual hooves touching ground, the Serengeti migration remains longer; estimates are as high as 1,200 miles. 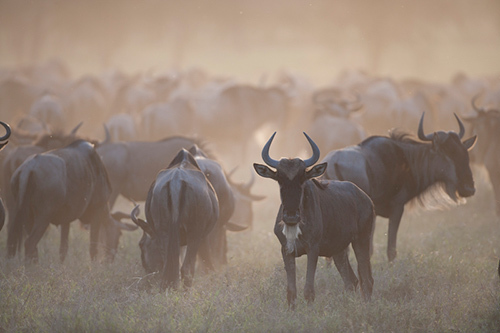 The wildebeest cover more miles because they don’t move as directly, meandering in an almost circular fashion. 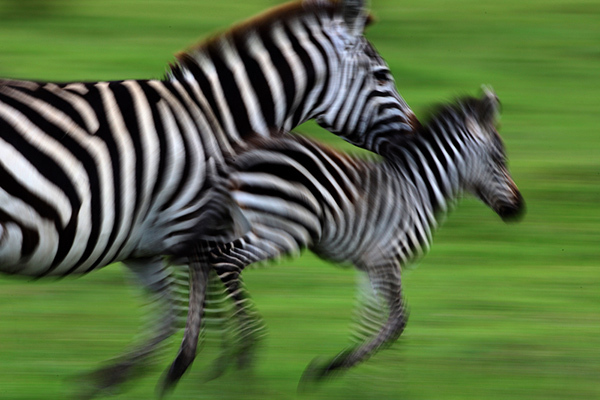 The zebras’ migration is longer in the sense that the distance between the two endpoint destinations is greater. Also, many more animals are making the migration in the Serengeti as compared to the one just documented. Around the world, there has been a decline in migratory species, due to fencing, habitat destruction and lack of adequate corridors. This new finding underscores the importance of learning more about migrations and the animals that undertake them. Luckily for the zebras, Angola, Botswana, Namibia, Zambia and Zimbabwe signed a treaty in 2011 to create the Kavango Zambezi Transfrontier Conservation Area (KAZA). At 109 million acres, it is the world’s largest conservation region. The treaty allows wildlife to migrate freely across borders and commits its signatories to transnational wildlife management and cooperation—particularly important as climate change causes habitats to shift. In return, all five nations benefit from a region with plentiful wildlife that will provide tourism opportunities. This is interesting..there may be wider implications of the change reported….changes in the environment/ feeding behavior/travel routes/population characteristics…..and these may be related to conservation attempts. Thank you very much, Josh! — C.G.A. Glad to see Zebras are getting attention they deserve. It’s great that there’s still so much to be explored and understood and there’s people as passionate as you Candice to show us all. Migratory birds travel annually more than 1000miles across continents & oceans during winter. Sinnadurai, that may be true, but as the title states, when we’re talking about zebras, we’re talking about terrestrial migrations. Thanks for your comment, however! —C.G.A. Never seen it, Candice, but I doubt whether it can be as spectacular as the wildebeests’ migration. Perhaps not as spectacular in pure numbers, Venkatasamy, but a real feat and — until now, unknown — natural phenomenon, nonetheless! — C.G. A. Why do we need an encyclopedia or even Google when we have you to document and describe and enthuse? Excellent!